Slow-Flow ~ a flow class moving super slowly so that we have the opportunity to be with each breath, with each movement and with each sensation. Deepening our ability to listen to what it is that the body needs to tell us and stretching ourselves open from head to toes. 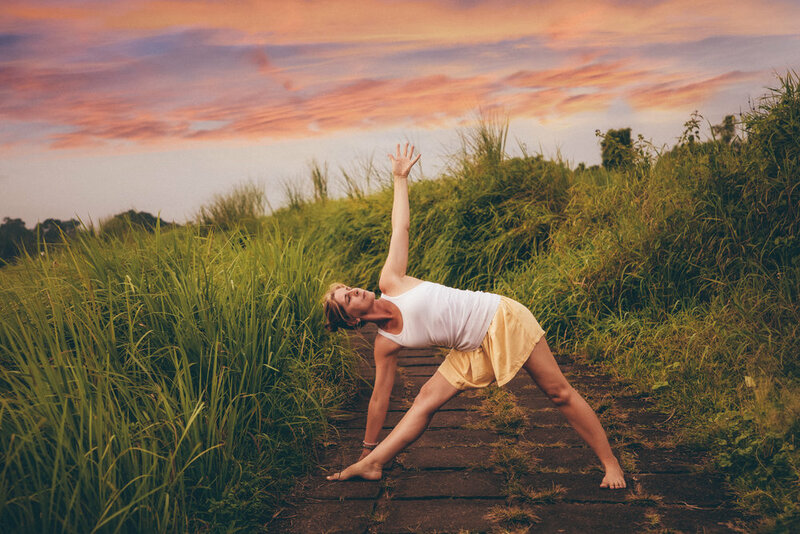 Vinyasa ~ this practice is a little more dynamic, peppered with challenging transitions, fluid sequencing and playful exploration of strength and flexibility all whilst deepening our attunement to the intelligence of our body mind. Yin ~ Claudia guides a delicious mix of sweet restorative yin. Her focus in this class is to guide you deeper and deeper inside yourself and help you use the power of your breath and your awareness to clear debris and excess information from your body-mind complex leaving you feeling clear, rejuvenated and relaxed. Relax ~ These sessions are a sublime blend of pranayama to soothe the nervous system and calm the mind, easeful warming stretches to release tension in the body before dropping deeper into some sweet yin/restorative deeper holds supported by props. It is in this practice that we turn the senses inward, journeying through the layers of the body-mind to access an accelerated rate or rest and healing. “Hi Claudia, Sitting here about to have my morning cup of tea and reflecting on your morning yoga class with one big smile on my face. Claudia that was amazing this morning! Every week you take us to a deeper level and not just the practice itself but looking deeper within ourselves. I walk out of your class thinking “ Seriously what just happened” but in the same breathe wanting more.